I have a need to change things up and keep busy, this applies to work, decor, and my workouts. All to often does one become bored of the same classes at your local gym. I had gone back and forth on whether to try ClassPass or not as I once signed up for a trial only to find out there were 0 classes in my radius that had openings during my non-working hours for the week trial I was on. But then something changed. 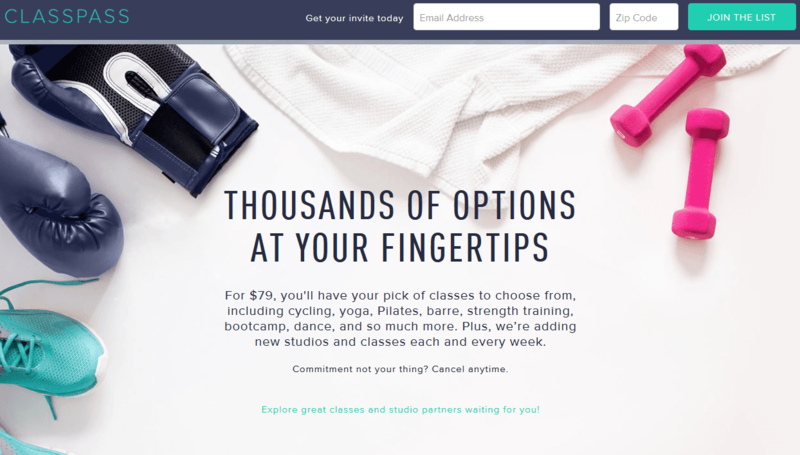 It was May, I was bored and when signing up for ClassPass there were tons of classes at studios I had really wanted to try but were priced out of my range. The trial came and went and I debated taking the full plunge as that meant either double paying for my gym membership and ClassPass (Everyone knows how hard it is to get out of the commitment one signs at the gym). So I cancelled ClassPass and sat it out. A week later I decided the gym was not doing it for me and for the summer (at least) I would switch to classpass and put my gym membership on hold. Little did I know ClassPass' advertised commitment free slogan is not the case. They essentially create a binding commitment by charging you $79 dollars to restart an account or you have to pay a hold fee i.e. you are on the hook. -FlyBarre - the music and the instructors will have you hurting like crazy to the best music out there. They have an arm sequence that is done in every class for a certain amount of time and it becomes something you look forward too and try to get it each class. -Life in Synergy - this workout may not make you sweat but you will notice changes to your body. I am not exactly sure how they do it (you do feel the burn in the moment) and they explain each class how to work these secondary muscles but the results are amazing for the lack of sweat released. Highly recommend Helena (studio founder's) book Nutritional Alignment as well -its free with Kindle Unlimited! -Exhale - without a doubt the toughest barre classes I have ever attended in Boston and mark my words you will be sore for a couple of days. Their chill yoga introduced me to the wonders of Yin Yoga (its detox for your muscles especially great after running or several cardio classes), and their flow yoga was great for days I wanted to workout not overwork before beginning my workday. -The Bar Method - this is a new addition to the Classpass family and occurred right before the price hike. So naturally I was not surprised once the price increase was announced. With the many barre studios out there - when one stands out you take note. I am not sure if its the emphasis on sharp breaths or the fact they use more traditional ballet moves but I can honestly say after using my three classes this month I noticed more definition, especially in my abs. The downtown studio is also gorgeous and they blast the A/C so if you get a spot during the workday you can easily run back to work without the need to shower. -Coolidge Corner Yoga - I tried this place after discovering Yin (see above) and while it is definitely not a posh Boston studio, it is a refreshing change. Their instructors are calming and informative. I took both Yin and Flow and Restore classes and highly recommend both. and lets not forget Btone which you can read more about on my megaformer post! Now even after the customer service fiasco debacle** suffered and trying to keep up workout momentum with the gym and small class packs purchased through Gilt and the like; I have to admit there is no better way to get your fitness on than through Classpass. At the moment I decided to ride my gym membership out AND pay for classpass. Why? Because I had to be true to what works for me! And that is variety. Keeping it interesting as well as accessible with work demands meant no gym membership will be enough. YES it is worth new Boston price of $119. Hope the above helps everyone when thinking of joining ClassPass versus taking classes directly at your preferred studio! *The first image is ClassPass logo from Google and filter applied. **To read more about that experience you can read my Debacle post, which I decided to move to another page as that one bad experience doesn't negate the good achieved in each of the above studios.